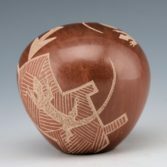 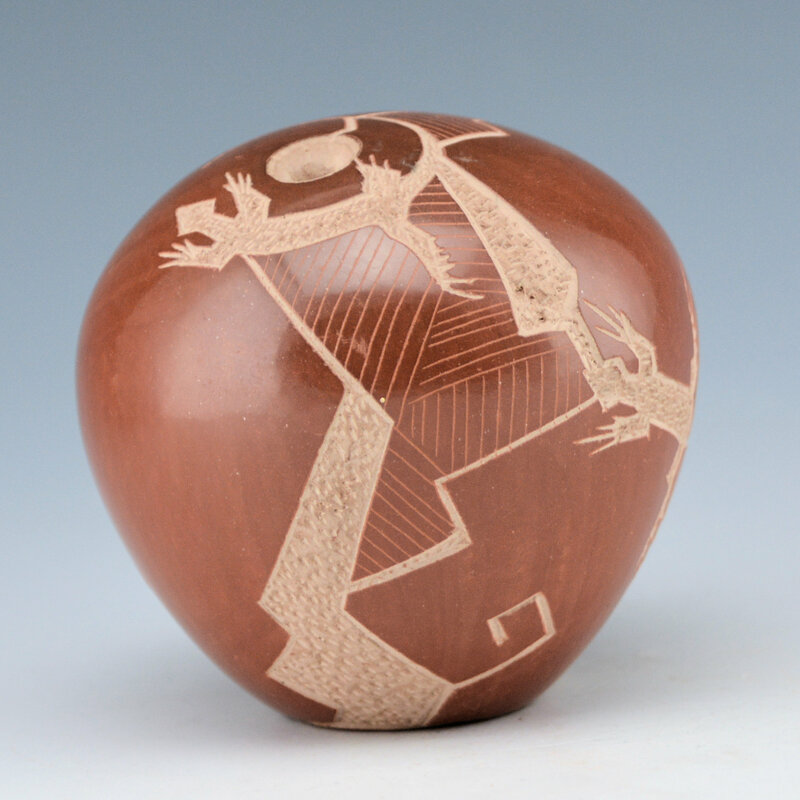 Bernice Naranjo is known for her innovative incised pottery. This seedpot is fully polished and fired brown. She has etched a series of lizards on the surface of the piece. 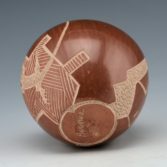 Some are placed sitting on the red polished clay and others on fine-line etched sections reminiscent of the sand or pottery shards. 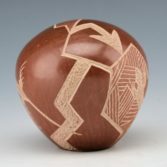 The piece is signed on the bottom.